Phil Collins Not Dead Yet, Live! tour is coming to North America this October for 15 shows only. This limited engagement by the legendary performer will feature Phil Collins accompanied by longtime guitarist Daryl Stuermer, keyboardist Brad Cole, bassist Leland Sklar, percussionist Luis Conte & his 16 year old son Nicolas on drums along with a horn section and backup singers. 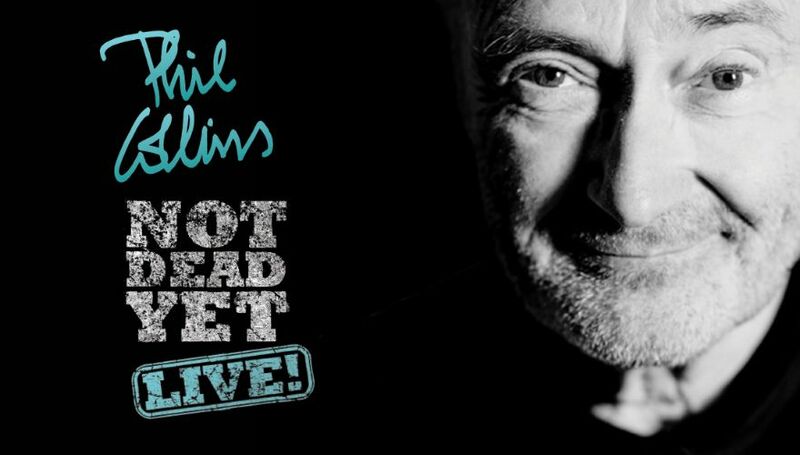 A fitting sequel to his recently released and much-awaited memoir “Not Dead Yet” Phil Collins Not Dead Yet, Live! will be a celebraton of his epic career.